Home About Universe Astronomy Beginners Gallery Info Missions Videos What If … the Moon Orbited at the Same Height as the ISS? What If … the Moon Orbited at the Same Height as the ISS? One of the entertaining stuffs to do with astronomy and science in common is to visualize what it would be like if things were changed. For instance, right now the Moon circles the Earth at an average distance of approximately 384,000 kilometers (238,000 miles). Even yet that makes it the closest astronomical body in the Universe, it’s still pretty distant—a four-day trip in a space capsule, for example. What if it were closer? 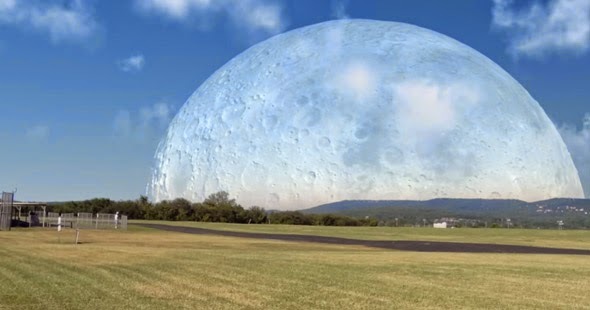 YouTube user “yeti dynamics” is an animator who produced a fantastic video displaying what it would look like from Earth if the Moon revolved us as the same distance as the ISS. The effects are pretty astonishing!